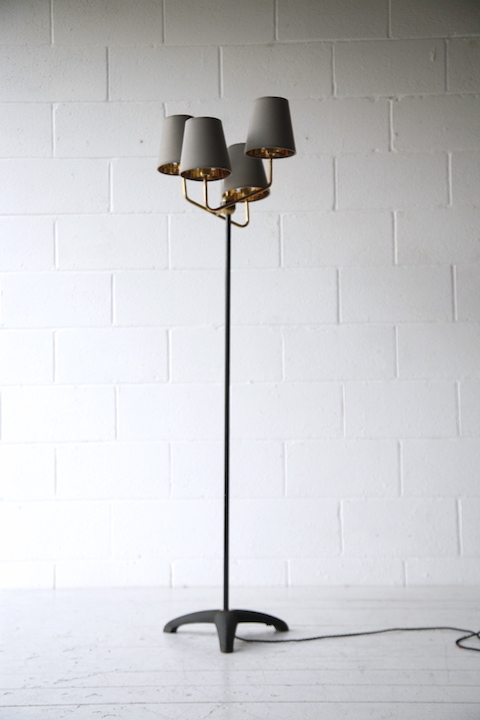 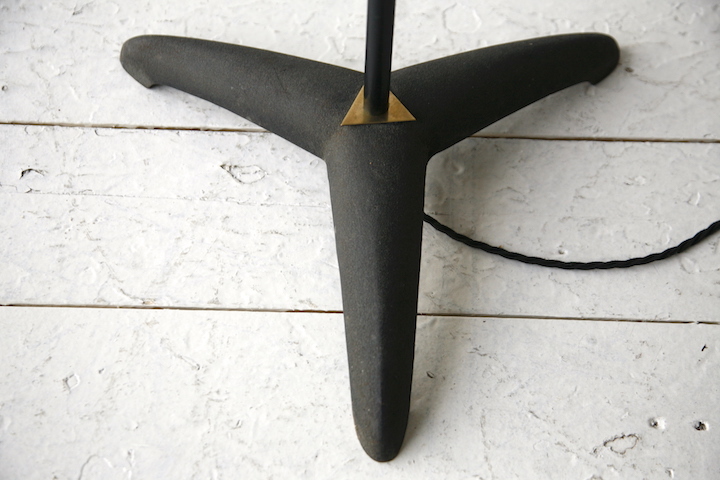 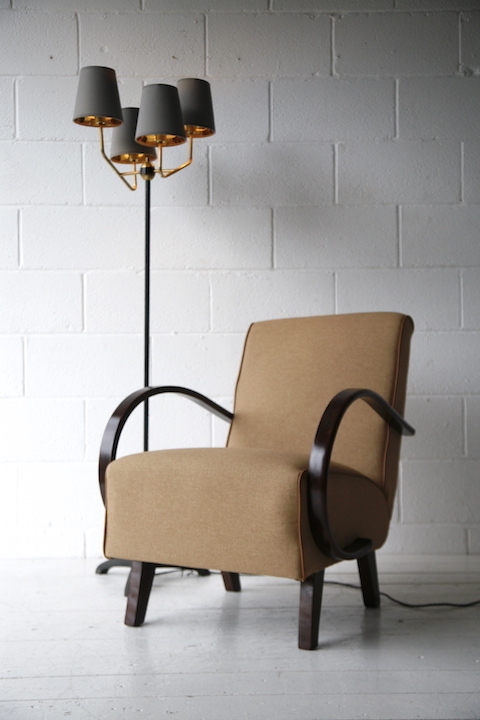 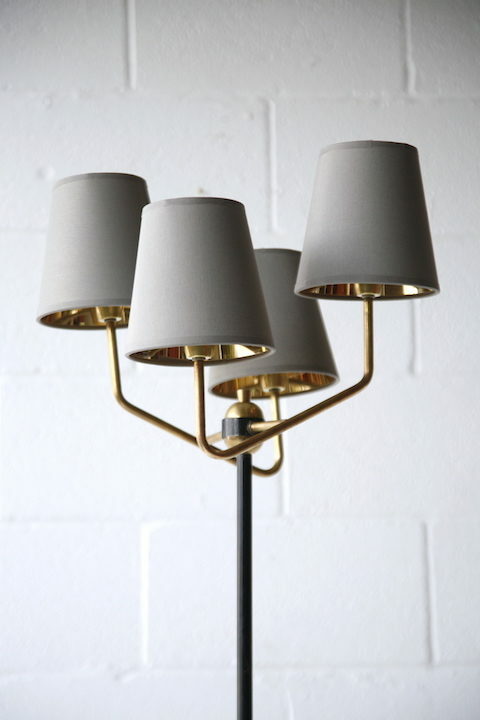 A rare and beautiful 1950s French floor lamp. 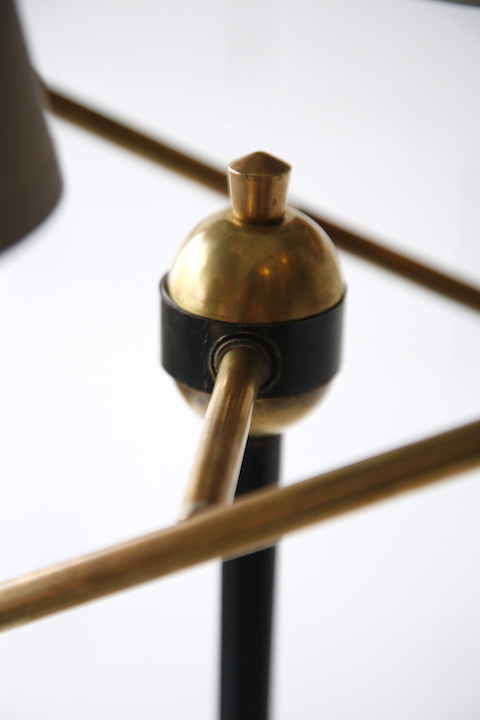 With 4 brass fittings at 2 different heights and new bespoke lampshades. 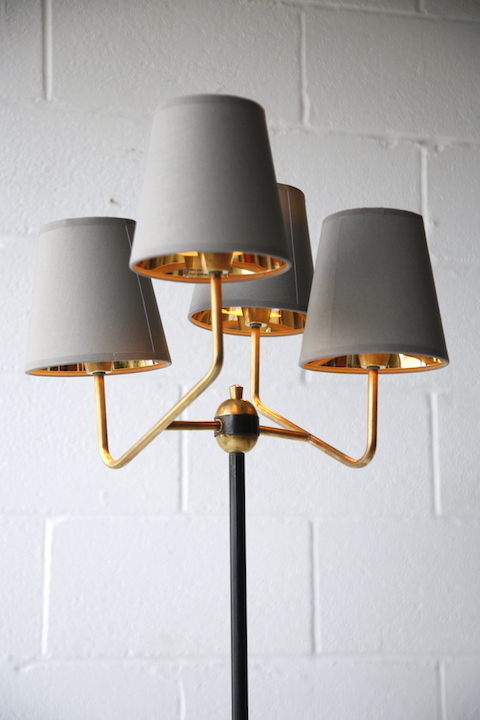 A stunning lamp in very good vintage condition with some light age related wear. 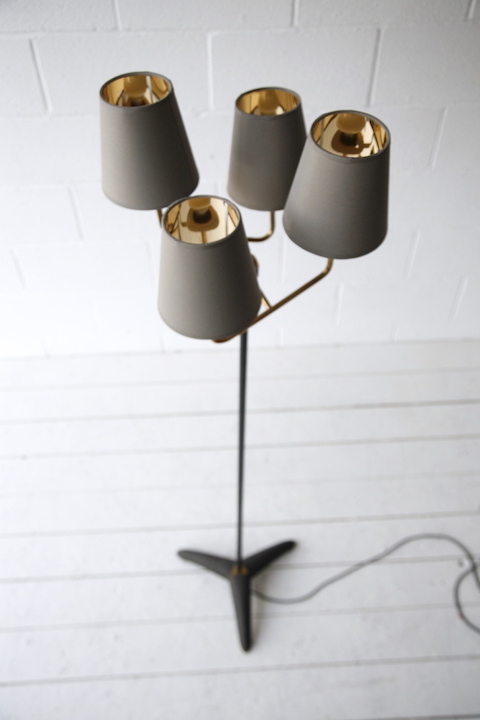 Fully working and recently PAT tested.